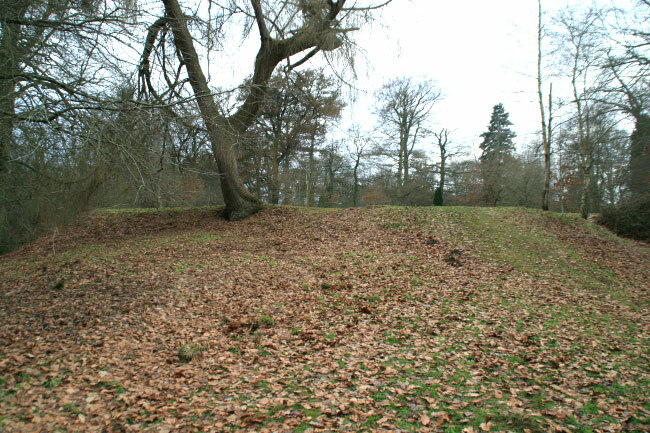 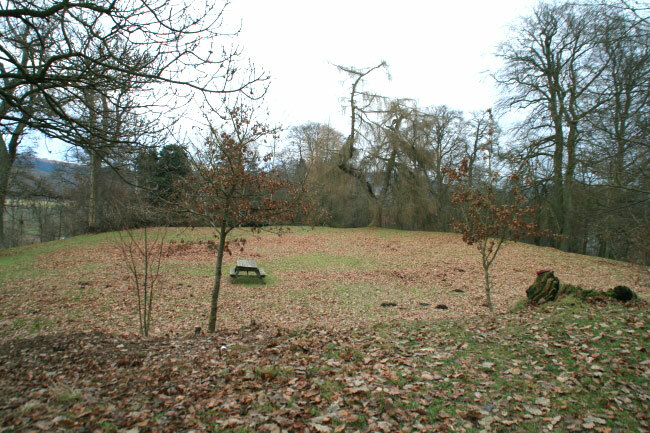 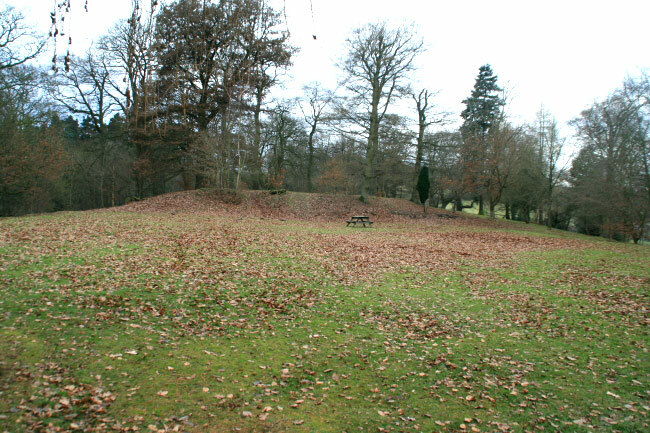 There are earthworks with a small motte at one end in a park to the north of the town. 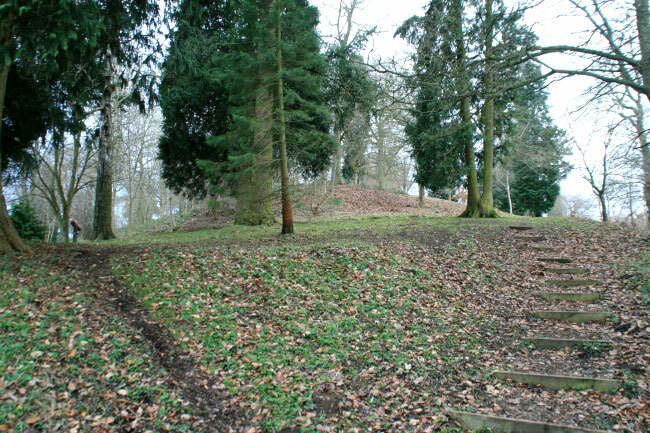 It may have been in use as early as the late 11th century. 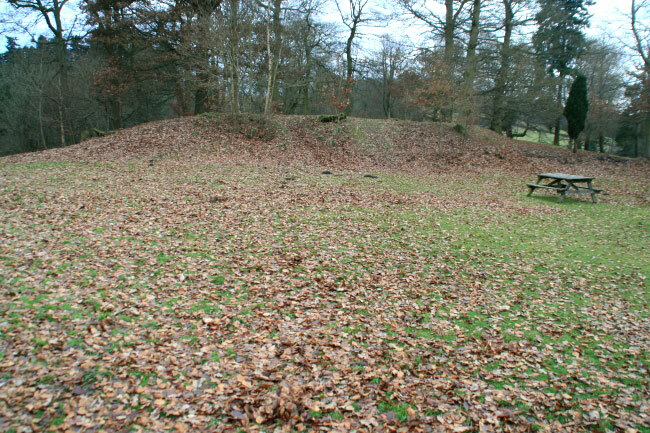 Like Norton motte and Knighton Castle it was destroyed by the Welsh in 1262 and not rebuilt.